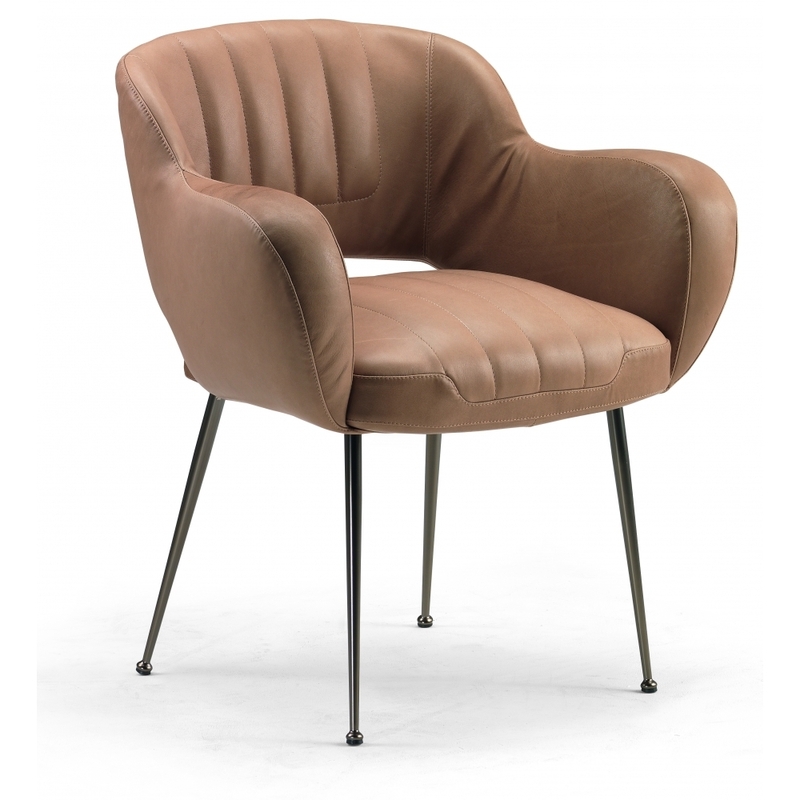 The chair Miss Malice, designed by Studio Arketipo, has a vintage look, especially when covered in leather. The roundness of the padded seat and back gives a soft and cosy line to the chair. Priced for Cat B or C Fabric/Micaceous Brown feet. Please contact us for further options.